Hamilton Place Strategies’ review of the personnel changes within key U.S. financial regulatory agencies in 2017. The Trump Administration will make a host of appointments beyond the typical Cabinet appointments. There will be wholesale changes within financial and trade regulatory agencies, as well as on the Supreme Court, between now and the 2020 presidential elections. Names and titles in bold are the vacant and expiring positions which will require appointments in 2017. 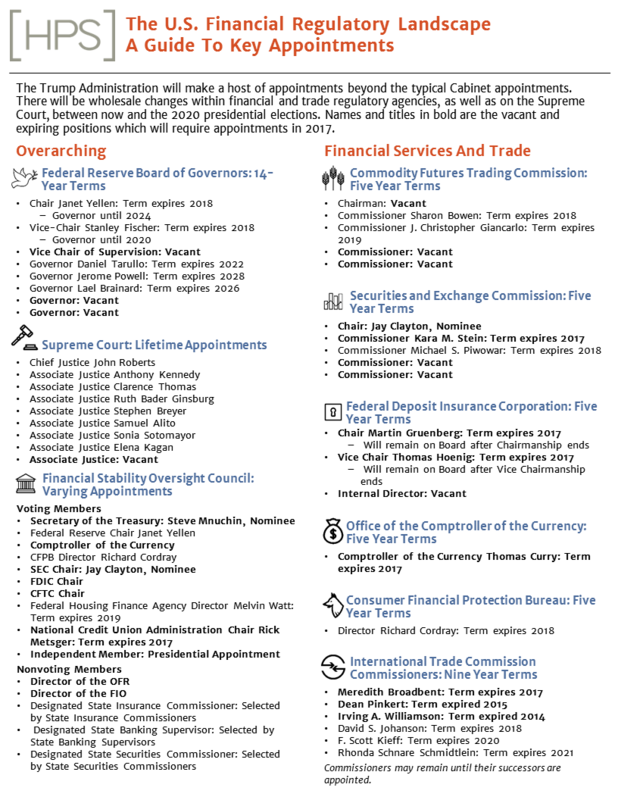 This is a living document, last updated post-inaugeration, and will be updated as positions are filled and nominees confirmed.